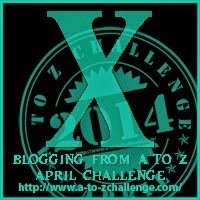 X is for Xtreme Challenges! 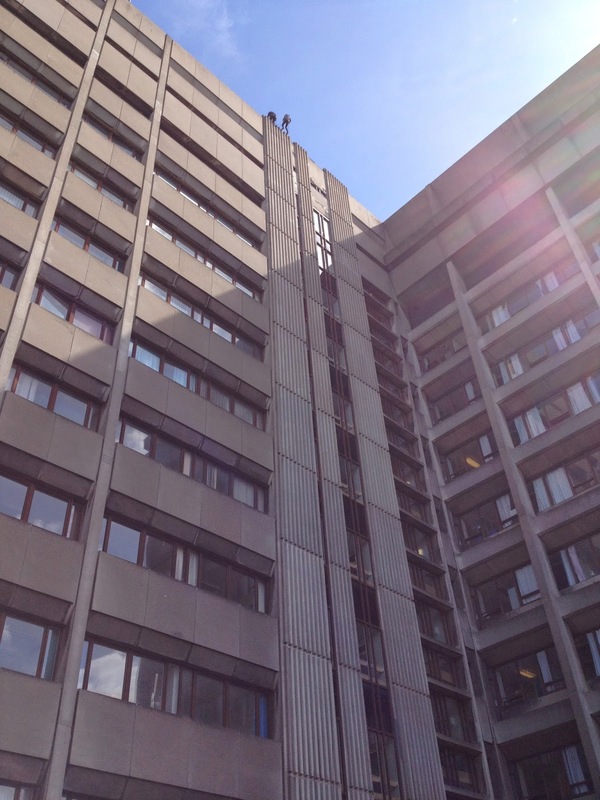 I'm not exactly known for a love of extreme or scary things, I don't exactly have fears as such, I just don't like things that scare me...things like doing a 200FT abseil down the side of my work place! Yup. What seems like forever ago now a couple of colleagues of mine heard about a 200ft abseil the Royal Liverpool hospital does every year to raise money for St Pauls Eye Clinic. 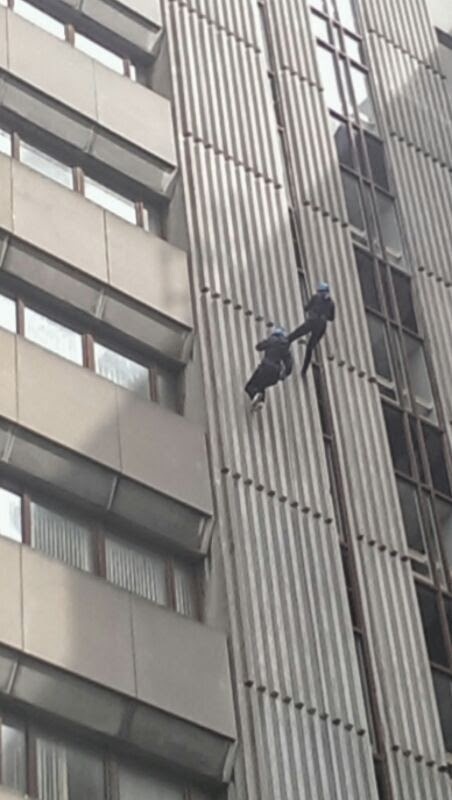 Now, I love doing my bit for charity but that usually involves fancy dress, fun days or charity runs - not pushing myself backwards off the top of a building. 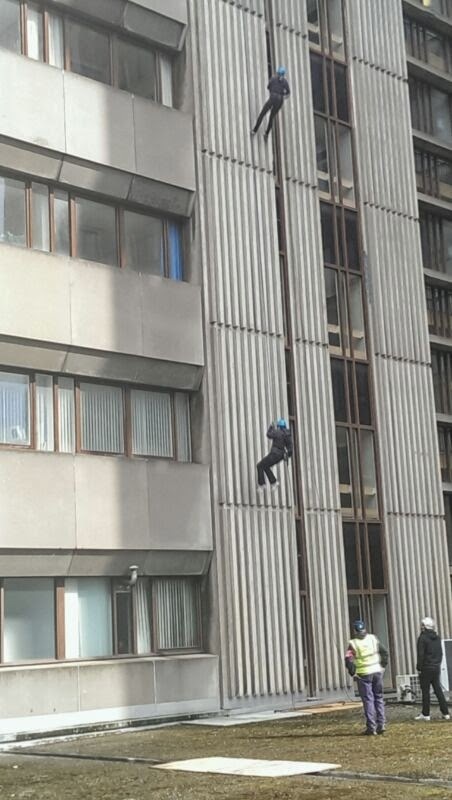 One thing led to another and I was either feeling particularly brave that day or stupid, but I agreed to join the team and take part in the abseil. It was so far off that I didn't really think about it after saying yes. So much so that I actually managed to forget about it entirely until about 2 days before the event! Insert lots of panicking, watching YouTube videos of abseils, and trying to raise some much needed sponsorship! Then it was the day. I felt sick from the moment I woke up and my stomach was churning like a washing machine on a sports wash! We watched a few others take part and make their 200ft descent and I'll admit, after seeing the building and watching others complete the challenge I oddly felt much better about the whole thing - it didn't look too bad and everyone came down with some sort of smile on their face! That's me, the tiny speck on the left! The came our turn. We stood on the roof of the hospital, 200ft up in the air taking in some of the most amazing views of Liverpool and the Wirral I have ever seen. I've never seen my city that way before and I've got to admit, it looked damn fine! Getting strapped up, talking safety and how tos with the instructor was great, I was feeling pretty pumped and eager to go over the edge and get on with the whole thing. Then it came to actually standing on the edge of the building, my back to the word and the balls of my feet hanging over into thin, windy air. Suddenly I didn't feel so pumped or at all eager to go over the edge - but I pretty much had no choice, if there's one thing I hate, it's not following through with something and I did not want to be that person who walked away. My less than graceful descent underway! Slowly, very very slowly and shaking as I went, I leaned back over the building, the wind whipping up around me, eyes wide with fear, my stomach already plummeting to the ground 200ft below - I started to give the rope some slack and take my first tentative steps backwards down the wall. It was unbelievable hard! The rope felt so heavy, my arms shook and both hands had a death grip on the ropes. With the wind blowing against me sideways and my feet slipping against the wall I found it impossible to keep my legs straight and feet flat against the wall. My game plan was to shuffle, release some slack on the rope, shuffle some more and so on. This worked for maybe the first 10 or 15 shuffles, then my feet really started to slip against the wall. I tried to regain my stance but I was pretty much tip toes against the wall by this point and there was no getting my stance back. I swung about oh so ungracefully, trying to figure out what to do, queue some less than lady like language and some very nervous laughter! Pretty much free-falling the last 20ft or so! Eventually I got myself into a slightly too speedy descent, using one foot to bounce against the wall as I gave slack to the rope, before I knew it I was down! Shaking, sick and wind swept, the instructors now removing my harnesses and congratulating asked me how much I'd enjoyed myself and if I wanted to go again? In short no. At the time I really didn't enjoy it, I was so scared and my arms hurt so much! My hands where shaking so much I couldn't even get my helmet off! But I'd done it. Once it dawned on me what I'd done and accomplished I couldn't stop smiling! I was, and still am, so proud of myself. I'm glad I took part, though I didn't get much of an adrenaline rush, I got an overwhelming sense of achievement and pride that I will never forget! I won't be rushing back up to do another one any time soon but never say never! Now I know I can do something so far out of my comfort zone I've had a massive confidence boost and who knows what that could lead to! So far, I've raised £105 for St Pauls Eye Clinic and you can still sponsor me by going to my JustGiving page! As a team, we've raised close to £2000! Have you ever taken on any xtreme challenges? Let me know in the comments below! That looks awesome!! I would love to do something like that!! I've never really had any extreme challenges like that but I want to! I can't say I'd do it again but I would highly recommend giving it a go! Still super proud of myself hehe! Good for you for challenging yourself and doing it for charity no less! I've done thing similar to this, I get so anxious, but the feeling of achievement afterwards is so worth it! The feeling (after a few hours!) was a mega high! It was worth it for that alone, and we've done so well for the charity! I wonder what you would do for x! Wow, I think I would like to do this? More than jumping out of a plane or bunji jumping - I don't think I'd ever do that! I've thought about a tandem sky dive and there is some talk around the department about maybe doing one but bunji jumping is OFF the to do list, no way I could do that! !